Fred Deegbe is the founder of Heel the World, a fast growing Luxury, Leather, and Lifestyle brand born in an unexpected location – Accra, Ghana. Coming off the heels of a career in banking, Fred chose a road less taken and built a company that strives to be the best at what it does. I really didn’t get it at the time. But ten years later, it makes perfect sense to me. The road not taken is the road I have taken. We have choices to make and I see how [the poem] mirrors the decisions I’ve made. Attending Ashesi was one decision I took that was different from everyone going to university in the United States or England – I literally joined that school in the beginning. 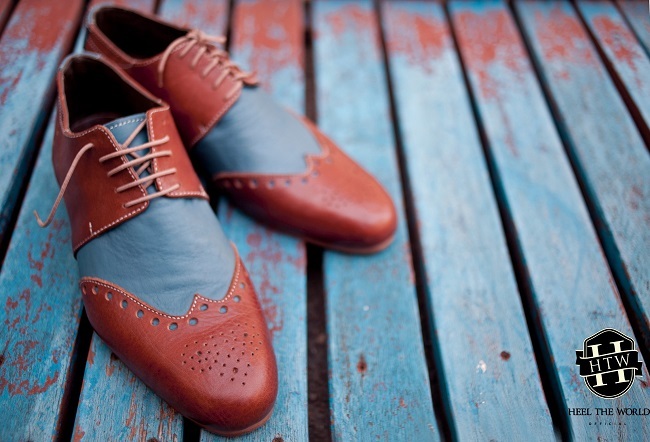 In 2009, Fred went out for a simple errand – buying a pair of shoes. He wasn’t looking for your average pair of sneakers, but rather for the type of shoe you would expect to find in hand-sewn Italian leather – high-quality, stylish and likely expensive. He eventually settled on a pair of imported shoes made by the French-Italian designer Pierre Cardin. Like many, he assumed that the best came from abroad. This was the beginning of Heel the World. With no training in fashion or design, Fred launched into 18 months of research before announcing the concept for a Ghanaian owned and operated shoe brand that could compete against the finest French and Italian luxury houses. The experience was eye-opening. Fred hopes to change the common perception that imported goods are “better” and contribute to Ghana’s growing manufacturing core. At the heart of Heel the World is a strong belief that high-quality, competitive goods can be made locally. Fred’s vision has been successful so far – Heel the World has seen exponential growth since 2012, has been featured on CNN, and has expanded to include 15 employees. In the coming months, Heel the World plans to partner with Duaba Serwa, a high-end Ghanaian womenswear brand. Together,they hope to become the first leading luxury department store to come out of Africa. Heel the World simultaneously advocates for social change. Fred has created opportunities for marginalized communities in Ghana to be a part of specialized product lines. The company also gives back to the local community with profits earned from its line of empowerment beads. These funds have gone towards hosting workshops for young professionals and entrepreneurs in Ghana and providing consulting services to small companies. 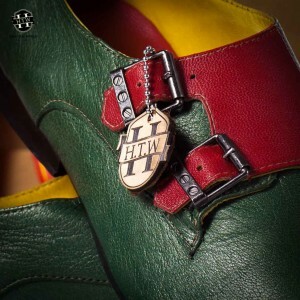 Support Fred and his team in Ghana at htwshoes.bigcartel.com.